Your local business profile image has a significant impact on the impression prospective customers have of your business. Columnist Wesley Young of the Local Search Association covers ways to make sure that impression is a positive one. Images have become ever more important in online presence and marketing. It seems rare that an article, email, ad or social media post isn’t led by a hero image or graphic. There’s no question that images boost visibility, engagement and click-through rates. A study on Google+ concluded that posts with images were shared three times more than those without images. Likewise, Socialbakers reported that of the top 10 percent most engaging Facebook posts (likes, shares, comments), 93 percent of them were photos. And a study by BrightLocal found that 60 percent of consumers agreed that local results with images grab their attention and influence decision-making. The opposite is also true: A lack of images hurts. Indeed, Expedia has used the threat of pulling images to gain leverage in business deals with hotel chains. It’s a practice called “dimming” that reduces a property’s visibility and marketability in hotel listings served to users of the online site. Expedia is trying to stop hotel chains from offering lower rates on their own branded websites than they give to the online booking services. Pulling images from listings makes those hotels less attractive to a consumer and more likely that he or she will select a different hotel. Huffington Post quotes Christine Compo-Martin, a retired teacher, as saying, “Honestly, if there aren’t pictures, I don’t even begin to consider it.” If enough consumers pass over the dimmed listings, Expedia hopes the hotels will be pressured to accommodate their pricing demands. With such importance placed on images, it is somewhat surprising that search has lagged in adoption of images as part of the search result. The major US search engines, Google and Bing, generally return text-based results. Many directory listings like the BBB are traditionally NAP+ information-based (with NAP standing for name, address, phone number) or require a premium before images may be included, like the print Yellow Pages. That appears to be changing as Google and Bing are challenged by newer or vertical specific search platforms. Yelp has profile pictures for virtually all of its listings. In response, Google started using logos or images in its local search “snack pack” results last year. Google local search snack pack — desktop and mobile: Images are displayed in search results only for certain categories such as food and beverage, ballet schools, hotels and entertainment (not a complete list). Examples of listings with no images: dance studios, plumbers, clothing/fashion, pool supplies, attorneys. Google Maps — desktop: All listings contain images. Google Maps — mobile: Images are included only for those categories with images in snack pack results. Google mobile app — Android: Knowledge graph with image when location intent expressed (e.g., “Twisted Root, Plano”). Google mobile app — iOS: Thumbnail pic with listing for very specific searches with single result matches (e.g., “Stanley Cleaners Frisco”). Search for “Twisted Root, Plano” resulted in multiple listings without pics, even though there was only one location in Plano. Of course, pictures always appear when your business is selected from search results and the business profile or knowledge graph is displayed. But as you can see, it’s not easy to understand the reasoning behind why some images are displayed in local search listings. For instance, why do images display in search results for ballet schools and not dance studios? Nevertheless, we’re likely in the middle of a transition process, and chances are, images will only be used more frequently, not less. Even with the unpredictability of Google’s image selection, there are some good practices you can adapt to make sure you get the most out of your images in local search listings. The following eight tips will pay off in the long term and even make a difference in the near term. Even if you don’t claim your Google My Business profile or upload a photo, Google can still assign a picture to your business’s listing. It might be something as simple as a Google Street View image of the outside of your business, which can be something of a crapshoot. Sometimes, those images include an identifying store sign or a picture of your storefront. Other times, the picture may be of a brick wall next to your property or an unflattering angle of the strip mall where your store is located. Google also has “local guides,” registered users incentivized to take pictures of stores, venues and places by a points-based rewards system. These local guides snap photos, upload them and tag businesses to them. The general public can also post pictures directly to a business’s Google listing with just a few clicks on their phone. Often times, these are pictures of favorite dishes or fancy drinks or a great band playing at your venue. But they can also upload undesirable images. Advice Local first spotted the prank photo below, taken inside a store and uploaded by a user to the business’s Google listing. Google bots selected the photo as the profile image. Not exactly what you want your customers to see. Take control of your own destiny, and don’t let a Google bot decide what works best for your business. Google allows you to select a profile photo, logo and cover photo, as well as additional interior and exterior shots of your business, your team, work in action and others when logged into your Google My Business account. Note that Google reserves the right to determine which photo is shown first, despite your selection. 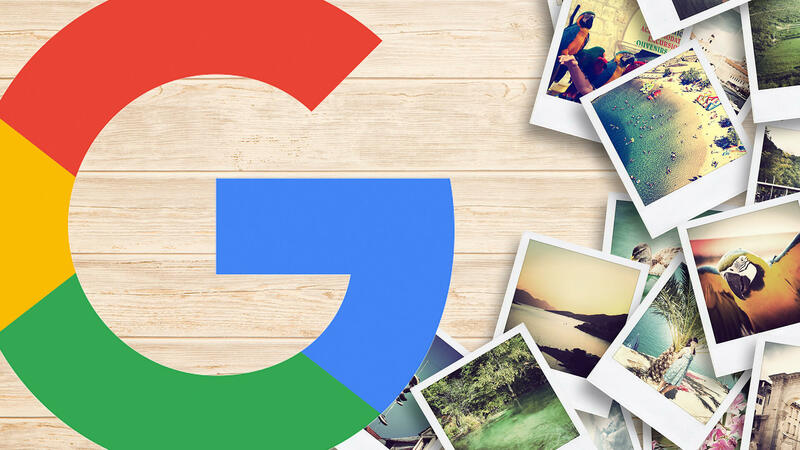 Google doesn’t disclose the algorithm it uses to select photos for you, but it does give a few tips as to some factors it considers. Google will determine how well the photo represents your business’s service or product and uses pictures of food as an example of what works well for restaurants. Other factors include the format, size, resolution and quality of the picture. Uploading photos you believe are the best representation of your business (and your products and services) lays the foundation for an attractive and compelling profile image that appears in search results. If you’re having trouble getting the picture you select to appear as your profile pic, try mixing it up. I toyed around with Local Search Association’s Google profile and used a cropped logo as the profile pic. Google didn’t like that; instead it selected a goofy Christmas pic of our staff that I’d uploaded to team photos. When I deleted that picture, Google then (given the limited options) restored the original cropped logo pic as our profile pic. So try different things like uploading higher-resolution pics, cropping them differently, placing them in a different order, uploading other angles of the same shot, brightening the contrast or whatever other tinkering you can do, as it might make Google change its bot brain and give you what you want. The Bed Bath & Beyond store mentioned in tip #1 above uploaded a couple of new pics and was successful in getting Google to switch profile pics just last week. Pizzeria Testa (below) has an ugly picture of the back side of the restaurant as its profile. It needs to work to get its much nicer storefront (or any of the other images) set as its profile by trying a few changes. Google is forever tinkering with making its product better for consumers, which means that you should expect constant change. Two weeks ago, I looked at the Google listing for my daughter’s ballet school, Chamberlain School of Ballet, and the profile pic displayed was an interior shot of one of the studios. Last week, the image was changed to the school’s logo. Both photos were uploaded in 2013 and no new pics have been added recently, so it isn’t a change resulting from new activity. This change is consistent with online reports about profile pics being switched unexpectedly and without input from the profile owner. Make sure to check your profile images on all platforms and devices frequently for changes that may not be what you want. Alternately, make sure all the pictures you upload are at least acceptable as a profile pic. Then, no matter which image Google selects — or whenever it initiates changes — those other images will work, at least until you can make adjustments. Google isn’t the only one that values high-quality images. Consumers do, too. The National Retail Federation reports that 67 percent of consumers say that the quality of a product image is very important in selecting and purchasing products online. This number is almost 15 percentage points higher than the number of consumers who believe ratings and reviews are very important in selecting a product or business in that same report. So if you are using a picture of your product or service as your profile image, it will directly impact consumer sentiment about your business. And it affects both the perception of your product quality and the trustworthiness of your business. A study by Stanford showed that over 46 percent of consumers felt website design was the top criterion for deciding whether a company is credible or not. With the abundance of information being contained within listings today, many consumers are not making the leap to a business website anymore. The enhanced listings become a de facto “web page” of the business, and with images playing such a big part in illustrating a business’s identity, it is important that its profile image reflect well. Google will also crop and blow up cropped photos to fit different sized displays (see below), so make sure your photo is of high enough quality to not become pixelated when manipulated. Even the best professional photo won’t work if it is not properly formatted or cropped or framed. Make sure the subject of your photos is centered, and anticipate that it will be framed in thumbnail portraits for mobile listings, cropped square for snack pack listings and formatted for landscape cover photos in full map listings. I’ll let the below pictures do the talking in illustrating what can happen to even the best photos if you don’t plan ahead on how they might be framed or cropped. Some stock images are beautifully shot and have an artistic flair that I’ll never capture myself. I used a stock image from picjumbo as a header in a LinkedIn post about one of my other articles. But often times, stock images are easy to spot. Sometimes, it is the result of overuse of a particular image; other times, it’s the lighting that makes it look like a screen shot from a soap opera. Whatever it is, when consumers detect or suspect that an image isn’t real, it hurts the local business’s reputation of authenticity. Being genuine and trustworthy are among the local business’s strongest assets. A picture that might have a few flaws but that shows your true and local identity is better than a perfect picture that everyone knows isn’t real. Whether it be local listings in broad directories such as YellowPages.com and Yelp or vertical specific listings such as Avvo or OpenTable, all offer accounts for you to manage your online profile and include images. Don’t “dim” yourself out of these sites that can deliver significant traffic to your local business. In closing, images are critical to conveying information about your business and in forming your online reputation and identity as consumers search for local products and services. Yet it is surprising how many businesses fail to manage and monitor images that are associated with their store or service. Images may be one of the most effective ways you can distinguish yourself from the competition. Just make sure you create a positive impression and not a negative one. Keep these tips in mind, and you should vastly improve the way potential customers see you.